In this Writer’s Digest Boot Camp starting September 28, the agents of P.S. Literary Agency will show you how to make your submission stand out. How do you write a children’s book with commercial appeal? How do you decide what category and genre your book belongs in? How do you find agents and publishers to submit your manuscript to? How can you attract both child and adult readers (and buyers)? On September 28, you will gain access to one of two special 60-minute online tutorials (or you can watch both, if you choose) presented by literary agents from the P.S. Literary Agency. You can choose to listen to agent Carly Watters’s tutorial on writing and selling picture books, or you can choose to listen to agent Maria Vicente’s tutorial on writing and selling Middle Grade and Young Adult fiction. After listening to your choice of presentations, attendees will spend the next two days revising materials as necessary. Also following the tutorial, writers will have two days in which to log onto the course website and ask Carly Watters and Maria Vicente questions related to revising your materials. The agents will be available on the course website from 1-3 p.m. (ET) on both Tuesday, September 29 and Wednesday, September 30. No later than Thursday, October 1, attendees will submit either their completed picture book text (1,000 words or fewer) or the first 5 double-spaced pages of their middle grade / young adult manuscript (only one submission is permitted). The submissions will receive feedback directly from the literary agents of P.S. Literary Agency. The agents will spend up to two and a half weeks days reviewing all assigned critiques and provide feedback to help attendees. (The agents reserve the right to request more materials if they feel a strong connection to the work and want to read more; note that multiple agents have signed writers before from WD boot camps.) No later than October 19, agents will send their feedback to writer attendees. Only registered students can access the discussion boards. You’ll also be able to ask questions of your fellow students. Feel free to share your work and gain support from your peers. Attention debut writers! I have a Writer’s Digest Webinar coming up on Feb 19 at 1pm. Also, a critique is not a query. So if you want to sign up and get a critique and then use the feedback you can still query me after! 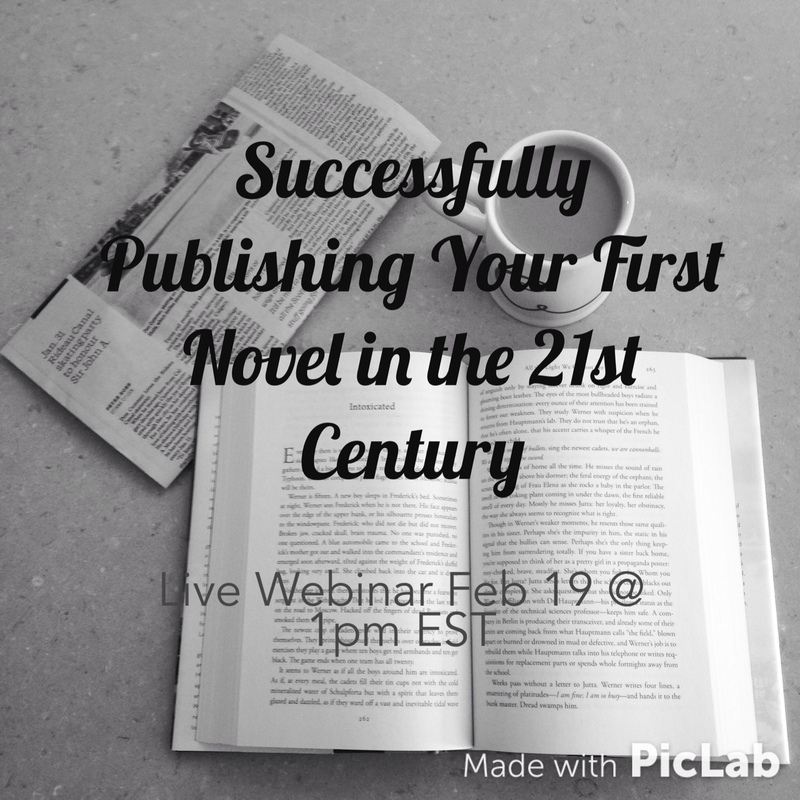 I will be teaching Successfully Publishing Your First Novel in the 21st Century. Sign up today! It includes a critique of the first 5 pages of your manuscript. Space is limited. Sign up here! Listen to me for an hour and a half from the comfort of your own desk. And don’t forget: I will be critiquing the first 5 pages of everyone’s manuscript in the weeks following the Webinar. I will be teaching a Writer’s Digest Webinar on June 5th at 1pm EST. Sign up today! It includes a critique of the first 5 pages of your manuscript. Space is limited.